Chairman’s Royal Club, "CRC" for short, is a really big deal with Sandals. And its a very exclusive club. CRC membership requires that I know more about Sandals than anybody else. I have to book more than anybody else. Most important, my clients (this means you) have to be really happy and satisfied with the service and knowledge I provide. Suffice it to say, that because I am a CRC member, booking your Sandals vacation with me is by far the best way to go. Better than direct, better than online, better than with any travel agent. 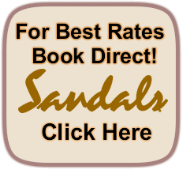 Order my Free Sandals Insider Report to learn all about how it can make your vacation better. It all started in December 2011 when Butch Stewart, Chairman and owner of Sandals, unveiled a new program, the "Chairman’s Royal Club". You do yourself a big favor when you book you vacation with a Chairman's Royal Club member. Very few travel consultants are invited into the Chairman’s Royal Club (less then 90 worldwide). You set yourself apart from all other guests when you book your Sandals vacation with me because of my Chairman's Royal Club status.